What Is A Satellite Tournament? - Casino Answers! Casino Answers » Poker » Tournaments » What Is A Satellite Tournament? A poker satellite is a special poker tournament which could be considered close to winning the lottery. When you enter a poker satellite tournament you are not entering to win cash – you are entering to win entry to another tournament, one that you may not have enough money to buy in with. The majority of players at the World Series of Poker don’t have enough to cover the $10,000 buy-in for example, so they will satellite in instead. How that works is as follows – lets say the buy-in is $10,000. They will sit down at a table with 9 other people, and play a tournament. The entry fee is $1,000 meaning the total first prize is $10,000. The winner of the tournament will not get that $10,000 but will gain entry into the World Series Poker main event. So he only paid $1,000 to get into the $10,000 event. You may be familiar with the term poker satellite due to Chris Moneymaker. Chris Moneymaker started off with a $40 buy-in to a poker satelliite tournament, and won entry to another poker satelitte tournament where he managed to progress through to the World Series of Poker main event, where he won the $2.5 million first prize. All that for $40. His is perhaps the most famous story of a satellite winner, but there have been plenty of others who have found success by playing a satellite tournament to get into a major tournament. They can be a lot of fun for players, especially those looking to step up in the level of play they are currently in but don’t have the money to do so. This can be a risky play, but it is one that many players have done and one that many have found success at. Of course, getting into the World Series of Poker isn’t the only type of satellite tournaments. There are all types of them available for you to join in. 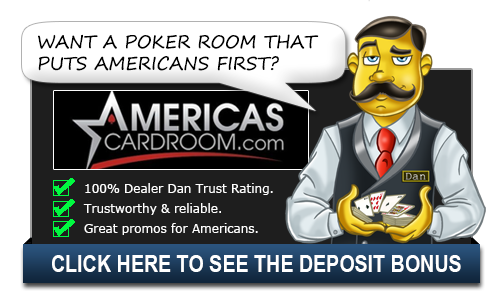 You can enter a free satellite to a real money entry into another tournament. There are buy-ins as low as $0.25 to get into tournaments with buy-ins in the $100s. There are plenty of options when it comes to satellites. There are also satellites to satellites in that you play a satellite tournament for an entry into another satellite tournament. These were most popular for entry into the World Series of Poker events. Satellite tournaments are a great way to gain experience for what playing in a tournament is like. With entry to large tournaments at stake, players play these with a lot of intensity and the larger ones can go on for several hours. This helps to prepare you for what happens in the case that you do win while giving you valuable experience that you can take with you. These types of large tournaments are an absolute grind and you better know what you’re getting into before you start one. In terms of skill, Bodog Poker is one of the best poker rooms to play a poker satellite.